Wanting to make something of his life, Army Staff Sergeant Mercedes Amaro joined the Army at the age of 18 in August of 2000. 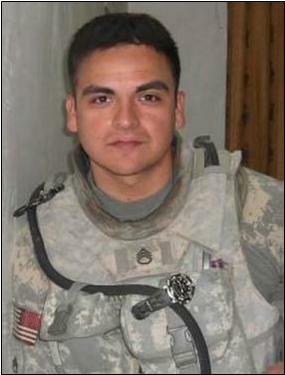 SSG Amaro was deployed overseas four times, serving in both Iraq and Afghanistan, and suffered multiple injuries. During his last deployment, he started to have severe pain in his lower back and knees. In June of 2009, Amaro received a Soldiers Medal for saving a soldier’s life when she dropped a grenade in their pit. SSG Amaro has had major back surgery, has injuries to his shoulder, knees, and feet, and suffers from PTSD. In addition to the Soldiers Medal, SSG Amaro earned the Afghanistan Campaign Medal w/ Campaign Star, Iraq Campaign Medal with Three Campaign Stars, Army Commendation Medal (4th Award), Army Achievement Medal (4th Award), Meritorious Unit Commendation, USA/USAF Pres Unit Citation, Army Good Conduct Medal (3rd Award), National Defense Service Medal, Global War on Terrorism Service Medal, Korean Defense Service Medal, Non-Commissioned Officer Professional Development Ribbon, Army Service Ribbon, Overseas Service Ribbon (4th award), NATO Medal, Combat Infantry Badge, and the Basic Aviation Badge. SSG Amaro, wife Giovanna, and their two sons received a home in Homestead, Florida.